There are 2 cat videos tagged with ifaw. GoPro Video of the Day - Sept. 20, 2013. Meet Zolushka, the luckiest tiger in the world. This orphaned Siberian tigress was left to fend for herself when she was only a few months old -- her mother likely killed by poachers. Less than 400 of these rare creatures exist in the wild - the survival of the species literally hangs in the balance with each individual animal. IFAW, the International Fund for Animal Welfare worked with partners in far east Russia to rescue and rehabilitate this amazing animal. 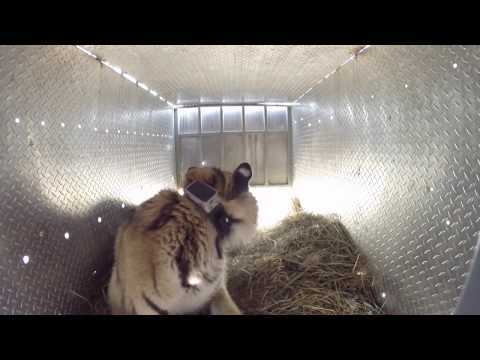 Watch as this incredibly rare tiger is released and returned to its wild habitat.